Pop! comes to Rogue One! Someone is on a mission to steal the plans for the Death Star. 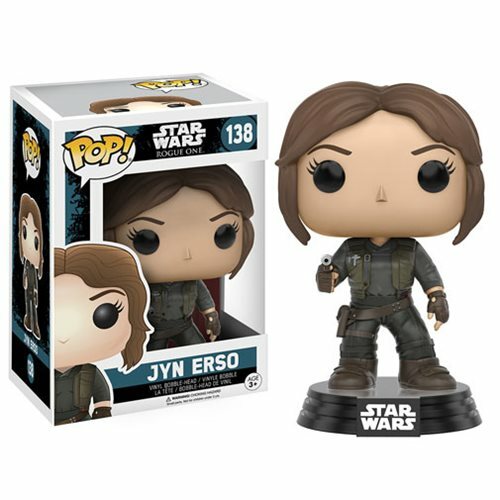 Choose your side with the Star Wars Rogue One Jyn Erso Pop! Vinyl Bobble Head! Jyn Erso stands approximately 3 3/4-inches tall and comes packaged in a window display box. Ages 3 and up.